• Several Mid-Atlantic runners made the trip to Arlington Park for the Breeders’ Cup. Thunderello finished second in the Sprint for trainer Scott Lake and Augustin Stable homebred With Anticipation took the runner-up spot in the Turf for Jonathan Sheppard. For only the second time in her 32-start career, Maryland-based Xtra Heat finished worse than third, as she came home sixth in the Sprint. The Classic went to 43-1 longshot Volponi. The 4-year-old son of Cryptoclearance, owned by Amherst Stable and Spruce Pond Stable and trained by P.G. Johnson, galloped home by 61?2 lengths, the greatest winning margin in the race’s 19-year history. Volponi had prepped for his Breeders’ Cup run in the $400,000 Meadowlands Cup-G2 three weeks earlier. Sent off the favorite, he was easily defeated by Harold Queen’s Burning Roma, who led throughout to become racing’s newest millionaire. repeatedly sidelined by leg troubles. Trainer Janet Elliot zeroed in on Grade 1 steeplechases in 2002, and after recording thirds in his first three outings, he rebounded with a front-running thrashing of seven others in the $250,000 Grade 1 Breeders’ Cup Steeplechase at Far Hills in New Jersey. A rising star turned heads on the undercard as McDynamo stormed home by 19 lengths in the $75,000 Foxbrook. A victory in the Grade 1 Colonial Cup the next month sealed a second Eclipse Award for Flat Top. Then came the reign of McDynamo. The three-time Eclipse Award winner won five consecutive runnings of the Far Hills feature (the Breeders’ Cup or Grand National), from 2003-’07, and retired as the all-time leading steeplechase earner, with $1,310,104. 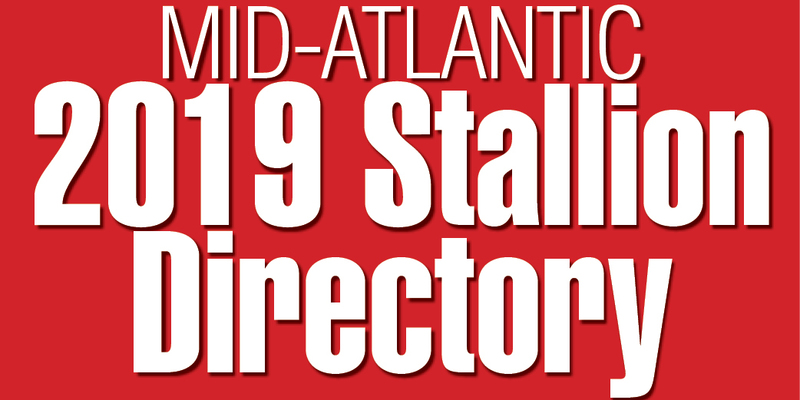 • Six yearlings brought six figures at the Fasig-Tipton Midlantic Eastern Fall sale in Timonium, where 530 yearlings sold over three days. 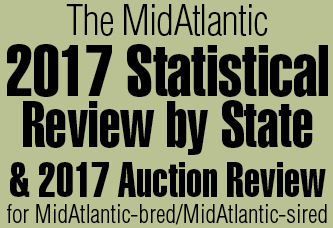 Gross and average were down, but median was up nearly 19 percent. The sales-topper, at $150,000, was a daughter of Silver Charm out of a half-sister to 1992 Kentucky Derby-G1 winner Lil E. Tee. A colt by Tale of the Cat sold for $100,000 to Flying Zee Stable. Pinhooked the next February, he brought $1.4 million with Demi O’Byrne signing the ticket. Lion Heart earned $1,390,800 from 10 starts, won four stakes, including the Grade 1 Haskell and Hollywood Futurity, and finished second in the Kentucky Derby-G1. • O’Sullivan Farms’ Confucius Say recorded his second straight victory in the $250,000 West Virginia Breeders Classic, and it couldn’t have come any easier, as Larry Reynolds guided the 4-year-old to an 113?4-length score. The final time of 1:50.93 was less than a second off the track record. “The way he ran, it looked like if he dropped his head a little bit he could have broken the track record,” said winning owner/breeder Randy Funkhouser. The son of Eastover Court would not face the starter again for more than 31?2 years, but returned to shine on Breeders Classics night. He won the 2006 “Onion Juice” at 7 furlongs and was awarded the victory in the $500,000 Breeders Classic in 2007 upon the disqualification of Eastern Delite. Retired in 2009, Confucius Say earned $1,037,555 from 42 starts. • After an eight-year hiatus, the Tri-State Futurity was run for the 34th time, and ZWP Stable’s Cherokee’s Boy made short work of it, coasting home to win by 213?4 lengths. “He’s very advanced for a 2-year-old; he knows what to do and when he wants to do it,” said the nation’s leading apprentice jockey, Ryan Foglesonger.